Upload it back to the server. That’s it, you’re set to go! If you are looking for cheap freelance work then one site stands out above all others. Friskk has high quality services by freelancers from around the world. Starting from a ridiculously low $5 ( 3.17 GB Pounds at today’s exchange rates! ) Friskk users offer services in many different sectors. See the PCRepairMan up top? He was designed and built using services found on Friskk.com. Other cheap freelance work includes video intros, cheap website backlinks, zombie transformations to photos of your friends, singing birthday videos….sky’s the limit really. Some of the imagination is incredible and for gift ideas this site is really top notch. Each service offered is for a fixed price and these are called ‘gigs’. On completion of the gig you pay the service provider an agreed fee. You pay nothing to register, and no fees to the website. How cool is that? If you want to sell a service then you would pay a small commission on the final sale price. If you don’t see the service you need, then you can request a service using the instant suggestion box. Many of the users on Friskk are professionals in their field, looking to earn extra money with small projects. This means that they often finish the project in very good time and can deliver excellent results. I’m going to show you how to create a really nice post display page that automatically brings in your posts AND takes the first image, resizes it and pops it at the side of a ‘teaser’ of your article. This is a very neat approach and builds on the work you have already done in creating the post, then automates a slick output of your work. More importantly, you don’t have to create a thumbnail image as resizing is done ‘on the fly’. Now go into the WP admin area and open the categories from the WP sidebar menu (under ‘Posts’). Hover your mouse over the new category and you’ll see the category number at the end of the link shown in Firefox/IE etc (at the bottom left of the browser window). This is what we need for our special new php page that we’ll create now. Now open up your archive.php file and see where the differences lie. Your header may be different, your div ids will be too, but make this new category file look like archive.php in terms of header, footer, content divs etc. I have added a class of pcrmbcategory. Ensure this is a div class and not a div id as it is repeated for each post. Note, I have fixed just the height of the image to keep the aspect ratios proportionate. You can set a width but this won’t maintain the aspect ratio and some images may appear stretched. Fixing height and limiting the content maintains a nice even spacing on article posts. I have added a dotted line to separate posts but be creative, sky’s the limit here! The 590px width is ideal for many single sidebar themes but experiment with this and validate your code. Test it in several browsers too. Don’t forget to create a default image to display when you don’t have one in your post. Drop this into the yourdomain.com/images folder. You can make this any size but ideally make it to the same height that is referenced in the code for quicker page loads. Good luck and give me some feedback if it works for you! You will now notice that website load speeds are faster as there is no external request to PicLens. The popular image resizing library TimThumb, used in many a good WordPress theme has had a major exploit carried out against versions of its code. The TimThumb code vulnerability allows third parties to execute PHP code in the TimThumb cache directory after uploading it themselves. As many people are aware, running malicious PHP code can easily compromise a website or an entire server. We recommended deleting timthumb.php or thumb.php or indeed the complete theme or plugin when this zero day exploit was announced. There is a later version of TimThumb available that now patches this vulnerability. If the file exists in a theme or plugin that you’re no longer using you may want to remove the entire theme or just the relevant plugin directory. After you remove the TimThumb library, check your site is still working as it should. I have contacted the developer of EasyWP SEO but, to date, have had no reply. Since it renders a website unable to create posts, I thought I’d better write a fix for my clients and for those of you who use both plugins. I have added a small text link to this article in case the developer updates the plugin, I’ll let you know here if he does. Many people use Yoast’s plugin for its useful sitemap and meta description functionality and have no need for the SEO scoring tools that were introduced in the last update as they use alternative plugins. What I have done is modified the code to temporarily disable the calls to the readability class within Easy WP SEO. Most, if not all of my clients do not use the Flesch-Kincaid Reading Ease tests in the ‘Readability’ section so this has no adverse effect. To apply my fix, you’ll need to update just 2 files on your server. I presume that you are familiar with FTP and unzipping, let me know if not. I’ll also presume you are running the latest version of Easy WP SEO (v1.6 or 1.6.2), I am unable to check any backwards compatibility. My method does create backups of both files though so should be very safe. Extract the files onto your desktop, they’ll be in a folder called PCRMB-EWPSEO-fix-v1. Create a test post and fill in some keywords in the Easy WP SEO box. You should now have no conflict between Yoast’s WP SEO and Easy WP SEO. Please note that you should not fill in the WP SEO ‘Focus Keyword’ as you are choosing to keep the more graphical Easy WP SEO tool as the primary SEO scoring indicator. Please drop me a comment below or click one of the social buttons if this helped you. Also please let me know if you get any other errors. If you are getting a double title appear in the tab of your browser as you hover over it, there is a good chance that it’s because you have WordPress SEO by Yoast installed. Often just ticking the box ‘Force overwrite titles’ (from the Titles and Metas section on the General tab) will suffice, but I have seen this on many customer themes where it doesn’t work and usually gives the address as a simple URL. Not great for SEO! 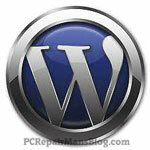 Upload this file to your WordPress theme, overwriting the existing header.php. Make sure the ‘force overwite titles’ is still unticked. Save your changes and empty any caches you have, eg W3 Total Cache. Check your category titles and post/page titles and they should be fixed! Looking for an easy way to manage updates on multiple WordPress websites? Well there’s a new tool in town and it’s called WP Remote. Here’s a brief review. This nifty tool installs on WP sites via a small plugin and gives you a single console from which to monitor your sites for plugin updates, theme updates and WordPress updates. You can apply the updates from the console so no need to login to any site after the initial plugin install. Not only that but it allows manual backups of files and MySQL databases in one click. Fiddly and incomplete WordPress backups are a thing of the past, you can expect to add the site to the console, update all plugins and themes and do a complete backup within a few minutes. Stunning. It’s free, easy to setup, minimalist, stable and incredibly useful. And no, I don’t own the company, just thought you might like it as much as I do. Look out for this company over the next few months as I think this is going to be very popular! Many bloggers are complaining that they can’t see how to force a line break in WordPress. It has been a problem right from its inception to the current iteration (3.4.1 as I write). The problem stems from the way that WordPress’s inbuilt editor – TinyMCE – handles spaces and returns. Adding break and paragraph tags ( for example <br> and <p> ) within the HTML editor doesn’t work as they are stripped out upon publishing. And as for combining this with images, they float in some pretty bizarre places making the formatting of some pages look simply dreadful. So we could try to update TinyMCE. There is a fix we can do, but for the sake of brevity I won’t post it because every time WordPress gets updated this will be overwritten. This makes the TinyMCE fix not suitable for most people who want a permanent solution. So here is the best solution I have found, simple and effective. It involves going into the HTML tab of the visual editor (at the top of where you type your post content). Select this and position your cursor where you want the line break to occur. Add <br class=”blank”> anywhere you want your line break to appear, this is usually after some plain text. Update your post and view it, you should see the elusive WordPress line break has appeared. If you have the time, please drop me a comment below if it works for you. Replace abc123 in the example above with your actual category name (the “slug”) and change the amount after “showposts” to the desired quantity you wish to display.